The basic black tux is a thing of the past. Bring on the flowery harnesses, patterned jackets and brightly coloured hats. The more experimental sartorial statements by entertainers and athletes at high-profile events is a sign of a new age in men’s fashion, one that is free of stereotypes. A decade ago, at the 2009 Oscars, the men on the red carpet looked like a colony of penguins – white shirts and black tuxedos, all in a row. But at the Golden Globes in January 2019, the change was everywhere: from Timothee Chalamet’s sparkling Louis Vuitton harness to Idris Elba’s bright green jacket and Bradley Cooper’s white suit. 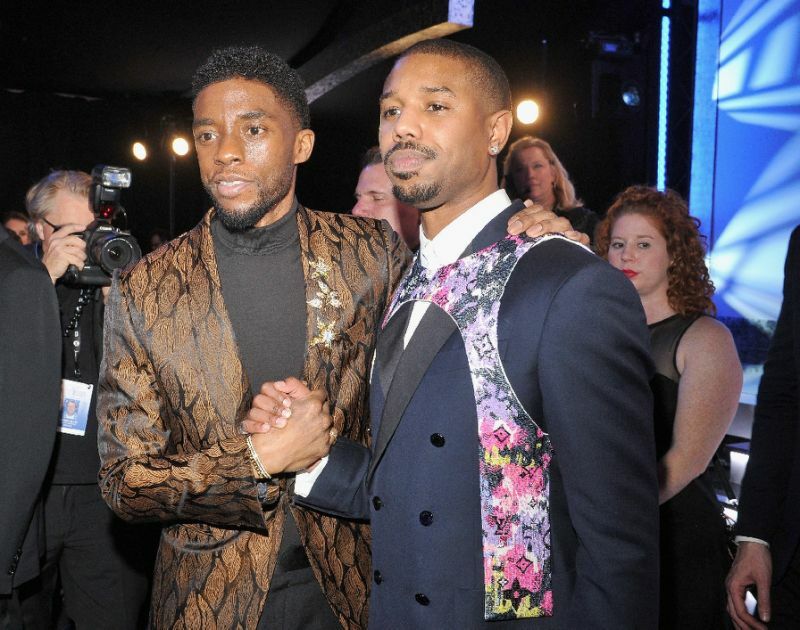 Then at the Screen Actors Guild awards, “Black Panther” stars Chadwick Boseman (brown Zegna leaf print jacket) and Michael B Jordan (floral Vuitton harness over a blue suit) took it up a notch. The Grammys are on Sunday and the Oscars are on Feb 24, so the men of showbiz have a few more key moments this awards season to strut their stuff. “There have always been some men who have dressed outside the box, but only within the past two years or so has this become more accepted in mainstream media,” says Andrew Gelwicks, a stylist to young celebrities. “It just shows that they’re more in touch with their creative side,” Lilic added. Singer and music producer Pharrell Williams and Oscar-winning actor Jared Leto were among the first to adopt a looser, more evocative style. And of course, the fashion OGs are Spike Lee and Mickey Rourke. At the Golden Globes, Lee rocked an all-purple look. “We now live amongst a generation who thrive to see what new trends male celebrities bring to the red carpet,” said stylist Danyul Brown, who has notably worked with singer John Legend and rapper Tyga. This men’s liberation movement on the red carpet signifies a wider societal trend – a redefinition of masculinity and the blurring of boundaries between the sexes. Attitudes are quickly changing, industry experts say. “Women are allowing men to get more in touch with their creativity without thinking, ‘He stole something from my closet’ or ‘It’s very feminine,’” Lilic explains. Another factor is the culture of working out, and the “skinny” trouser trend pioneered by Hedi Slimane. “Men are looking after themselves more and more,” Lilic says. And the explosion of social media has inspired men and women to adopt a more personal style – to stand out from the rest of the people posting their outfit of the day on Instagram. The revolution on the red carpet has taken these changes up to the next level – well beyond a small group of celebrities with fashion labels clamouring for them to wear their fun creations. “The red carpet – and not forgetting the designers and stylists that work behind the scenes – are at the forefront of inspiring the rest of us when choosing what to wear,” Brown says. Stylists – who were long searching for the coolest basic tux, even though most of them looked similar – say their business has totally changed. “I’m now able to experiment with so many other options,” says Gelwicks. “You can’t just come with a tuxedo. You have to think about the person that he is, that he wants to be and what story he wants to tell at this very moment by expressing himself through his clothes,” he says.